Get to know the Hover Fly Melangyna sp. The Common Hover fly has a slim body with large reddish-brown eyes, dark thorax, black and yellow abdomen and wings that are clear in colour. Adult body length is 10mm and larvae feeding on aphid’s body length is 10mm. The Hover fly does not have a sting. 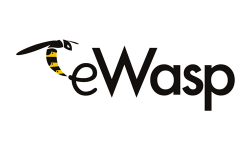 The Hover fly is often mistaken for the European wasp due to it’s appearance. The Hover fly is also known as Flower Flies, some species are called Drone Flies. The Hover fly gets its name from the way it hovers. The female Hover fly lay eggs on leaves, the eggs lay into grub like maggots and feed on aphids, scale insects, thrips and caterpillars. Some species of Hover flys, lay their eggs near aphid colonies, the maggot like larvae are predators of aphids. The Hover fly is found in Queensland, New South Wales, Victoria, South Australia, Western Australia and Tasmania. Hover fly’s visit flowers just as bees and wasps do, they are major pollinators of some flower plants, they are usually seen hovering or resting on flowers. The Hover fly feeds on nectar and are pollinators of plants too. The Hover fly hovers even when mating. Good – Hover flies are good for the environment. Hover fly larvae are predators of many insects such as aphids, scale insects, thrips and caterpillars. 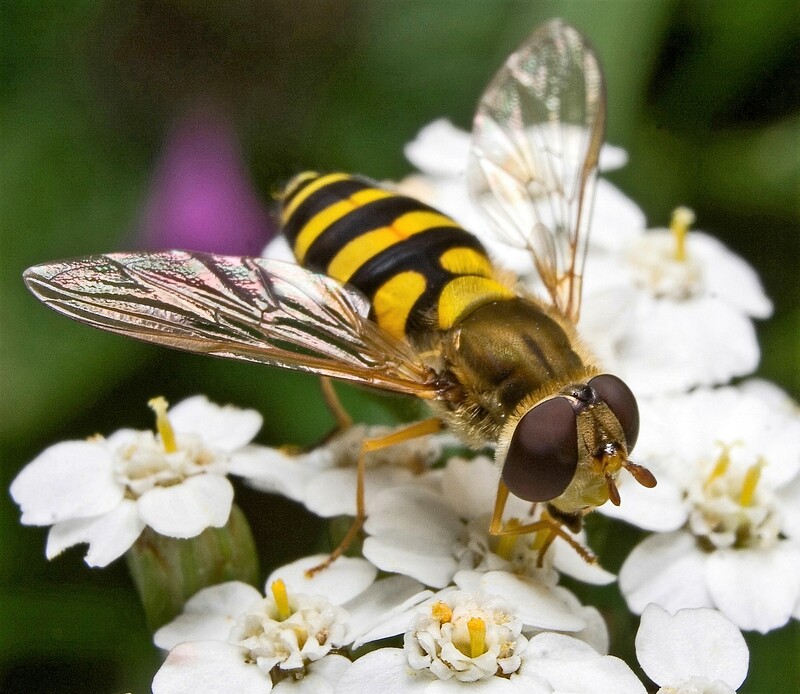 Nil – The Hover Fly does not have a sting and does not bite.